Catholic artist, Ann Burt is on a mission. She’s sharing passionate stories of inspired lives with artwork that reaches from her heart to yours. 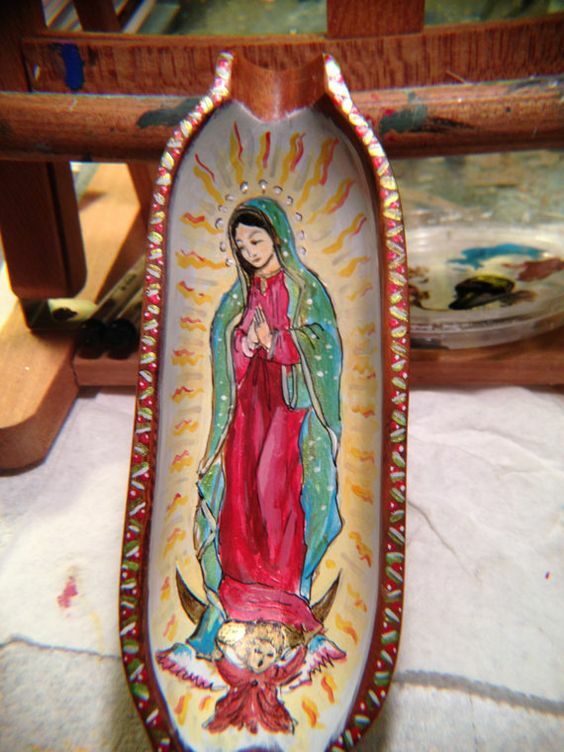 Through her original, hand-painted, devotional art Ms. Burt lifts the heart and mind heavenward. 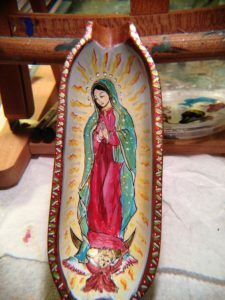 As in previous years, Art4TheSoul will be one of the vendors at the Ignited by Truth Conference and Ms. Burt will be offering a limited selection of her famous Retablos at special conference pricing. Art4TheSoul will also be featuring 15 unique teak-wood, corn holders (aka Monkey Pods.) Each is a mini home shrine featuring hand-painted images of the Blessed Mother and other Saints. These come with an attached loop on the back so they can be hung on the wall. Each is signed and dated. When you visit Art4TheSoul’s vendor area, you’ll also find an introduction to her new lines – The Advocate. 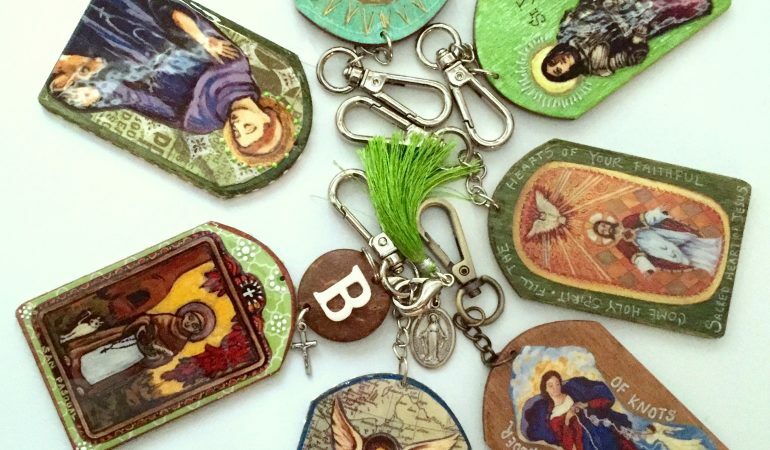 The small bag tags/charms/keychains/ornaments and magnets, which feature original art in small prints, are perfect for confirmation and graduation gifts, new drivers and frequent travelers (these are not available online). For a pre-conference sneak peek, be sure to check out Art4TheSoul on Etsy. And bookmark this Etsy store for all of your future purchasing needs. ill be aArt4TheSoul’s new Spring Collection, called Whispering Angels, will be available in March/April 2017. 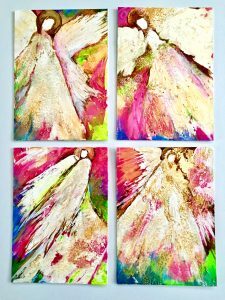 This line consists of original pieces ranging from 5×7, 8×10 and a couple of larger 18×24 Angels painted using a variety of mixed media. 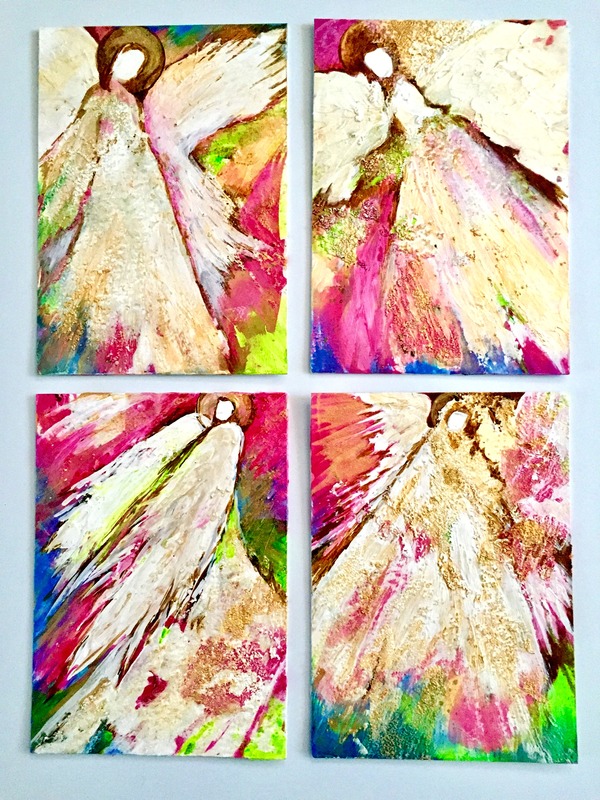 The Whispering Angels are bold in color and very Ethereal in style. Samples of the new line are available at the IBT conference, where you can place your pre-orders. 10 pack of 5 x 7 glossy (blank on the inside) original greeting cards with envelopes. The cover of the card is the same for all 10 of the cards. The beautiful, hand-crafted cover design features one of Ann Burt’s “Whispering Angels” – a new line coming at the end of March in the Art4TheSoul Etsy shop. St. Thérèse Retablo 5″x6″. The St. Thérèse Retablo depicts an image of Saint Thérèse of Lisieux sometimes called “The Little Flower.” She is the Paton of Missions, Missionaries, Florists and France. 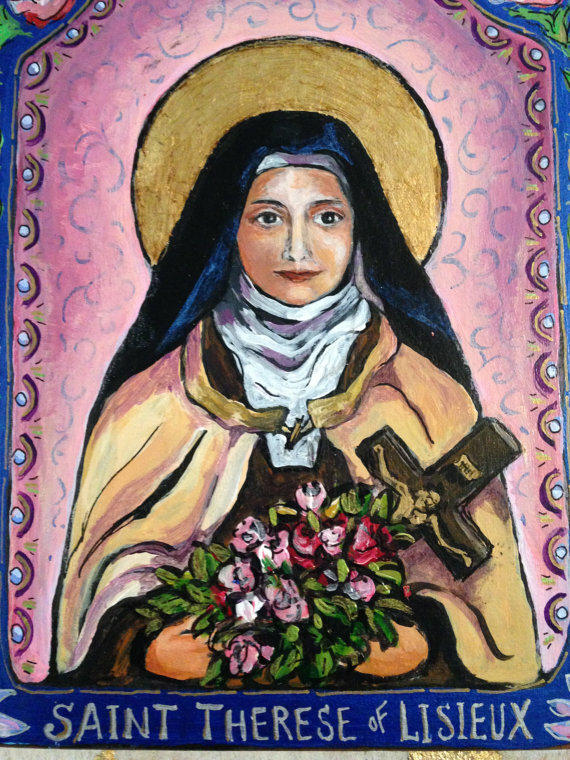 A brief history on Saint Thérèse is found on the back of this print. This is a PRINT of the original. Visit Ignited by Truth Catholic Conference page on Facebook, then LIKE and COMMENT on the post for Art4The Soul. To help us spread the word about IBT and Art4TheSoul, please consider Sharing the posts and Liking the IBT page. Not on Facebook? No problem. Simply COMMENT on this post below with the giveaway(s) you’d like to win and we’ll enter you in the drawing! Details: Winners will be selected at random on Fri, Feb 24th and announced on the IBT Facebook Page as well as at the Art4TheSoul vendor table at the conference. Items can be picked up at the Art4TheSoul table. These are beautiful! I’d love to win one! Thanks for having a non facebook entry option! These are beautiful! I’d love to win one! Thanks for having a non facebook entry option! The image of The Little Flower is my favorite!